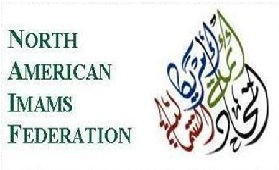 NAIF is a consortium of Imams in the U.S. and Canada. Through its network of advice and professional advocacy, NAIF supports the Imam's sacred mission. At the 12th Annual NAIF Conference, a modified version of elections resulted in the selection of a new Executive Committee with a two new members in the executive committee and a new Secretary General from within the executive committee. ​Please visit the Contact page to get more information about the new executive committee. The new NAIF EC wishes to express its gratitude towards previous Executive Committee members and prays that Allah (swt) shower his mercy upon them for all the hard work that they did. May Allah (swt) accept it from them and count it in the balance of their good deeds. Membership has its benefits. Become a NAIF member today.